When you fish with a legend, you know you’re in good hands! Fast makes the difficult look easy — decades of experience running rapids under varied conditions will do that. Even though Ed has put his “guide” shingle away for good, he’s still thrilled to be between the oars on this Wild and Scenic section of the Sandy River. His friends George Stump and Aaron Shook travel this way as well. 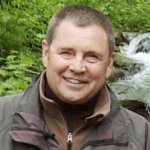 Shook has been guiding anglers down the Sandy River for decades too. He loves the solitude that he finds here because the river is so difficult to run — plus, it’s only an hour from downtown Portland. 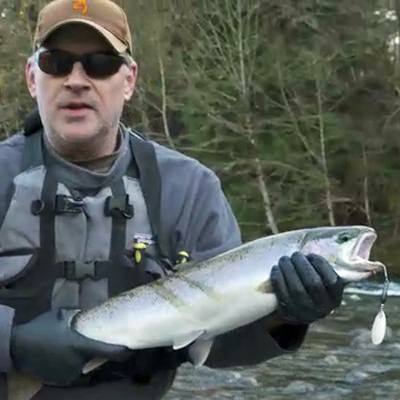 Within minutes of casting into a promising and productive run, Stump shows that there was one steelhead that didn’t get away. His rod doubled over as a 10-pound steelhead hit his lure like a ton of bricks. Stump knows the blade business well. He and his friend Rob Brown create and sell metal blades in hundreds of gorgeous colors. The blades carry ageless angling names like Colorado, Indiana or Cascades. Their partnership, First Strike Lures, was born of a shared passion for fishing and hooking more people into it. “I think that the heart of a fisherman is really asking, ‘What’s new?’ Everyone wants to try something new and we have literally hundreds and hundreds of blade patterns that we custom paint day in and day out,” says Stump. 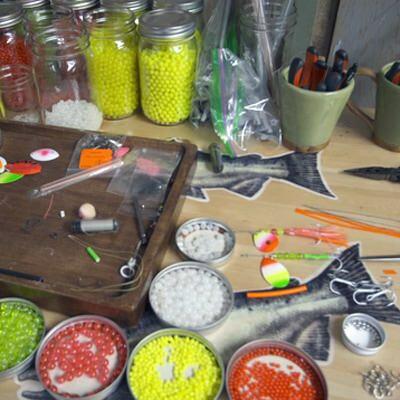 The two have grown their business to become one of Oregon’s finest lure-making companies relying on the best products available. Brown uses real silver on his blades. He says it makes a big difference in durability underwater as the spinners or spoons bounce among the rocks. 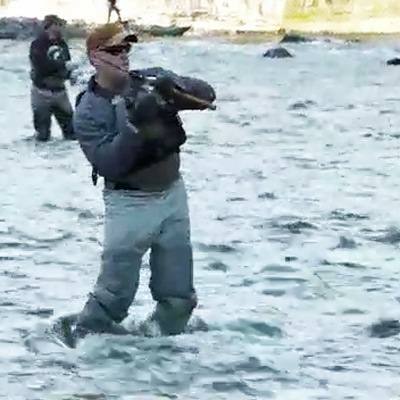 It doesn’t take long until Ed Fast hooks a chrome-bright wild winter steelhead. The fish flashes, jumps and cartwheels above the water. Soon, Fast has it to hand, deftly removes his spinner and releases the fish in a flash.